Culver’s menu prices are here. 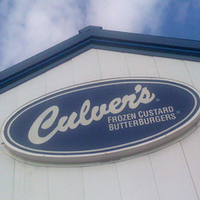 Culver’s is a fast-casual sit-down restaurant chain serving their famous ButterBurgers® and Fresh Frozen Custard. Guests can also enjoy other favorites such as Wisconsin cheese curds, hand-battered North Atlantic cod or a freshly made salad. No matter which selection, diners can expect a great meal served with a smile. Hospitality is a key component to the success of Culver’s. Throughout its success, Culver’s has relied on local family farms to supply the food it serves customers. Culver’s realizes the importance of family farms now and in the future. Culver’s proudly supports the National FFA Organization. Culver’s team members enjoy serving customers with a smile. Team members are encouraged to give back and support the communities in which they live and work. From supporting local Boys & Girls Clubs to helping local charities with fundraisers, Culver’s believes in community involvement. Besides serving great tasting food, Culver’s believes in hiring talented team members. Culver’s supports team members by teaching them responsibility, leadership, and teamwork. Culver’s commitment to the continued growth of team members is extended through the Culver’s Foundation which offers team members scholarships to achieve their educational goals. MyCulver’s is an online e-club that guests can sign up to receive the latest news, information and delicious offers. Members can display favorite locations and save Flavors of the Day. Sign up is free and simple. Do you enjoy serving people and making their day brighter? Why not consider a career with Culver’s. Culver’s offers quality service using fresh ingredients to provide guests with a one-of-a-kind experience. Culver’s offers team members many opportunities for growth and advancement. Interested candidates can visit the official Culver’s website to learn more and apply online. In 1984, the Culver family opened the first Culver’s location in their hometown of Sauk City, Wisconsin. Family members included Craig & Lea Culver and Craig’s parents, George & Ruth Culver. In 1987, Culver’s franchised their first location in Wisconsin. Initially, the growth of the restaurant chain was concentrated in the Midwest. Today, there are over 620 Culver’s locations throughout the USA. Culver’s is a privately held company with headquarters in Prairie du Sac, Wisconsin. Fans of Culver’s can keep up with the latest news and happenings by following them through various social media outlets. To learn more about Culver’s, you can visit the official website.